Sargassum, as seen here in the curl of the wave, drifts ashore when the winds are steady, rolling into massive piles along the littoral zone, crucial for the ecology of barrier islands. Is it coincidence or by grand design that it is washing ashore during a super moon, when the highest of tides will push it further up onto the beach, trapping the sand with it to build up our dunes? Here in FL, there is a strong conservation not to clean this up as other states do for the benefit of tourism. A mistake. Some folks see this as an annoyance, their tender virgin feet having to touch it on their way to the water. But Sargassum serves such an important role in the nurturing of juvenile species of marine life, some who will spend their entire lifecycle within the floating mass known as the Sargassum Sea. 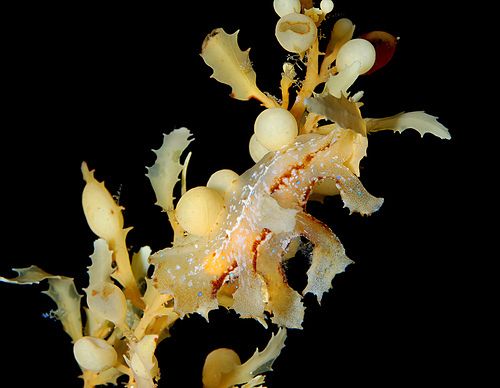 Sargassum is one of my favorite seaweeds in the class Phaeophyceae. In fact, my upcoming novel, Silversides, has most of the characters named after a class of macroalgae: Phaedra, Rhodes, Kora, Cody and my protagonist, Nori. Kulcin (main antagonist) on the other hand comes from a previous work, From Europa With Love, and what an antagonist he is. Of all the characters, he refuses to let me write his dialogue. Stuborn…. 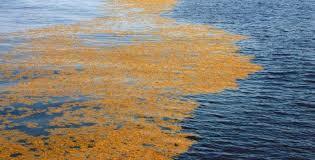 Writers are taught, “Write about what you know.” But Sargassum? It does not always need to be a subject matter that you are an expert in. What it does require is for you to connect with your story in terms that you are an expert in. In my case, once I named my characters after classes of seaweed, I was able to connect with those characters like never before and my story came to life. This entry was posted in For writers, WIP and tagged sargassum, sargassum sea, sci-fi, science fiction, Silversides, tips on writing, writing tips by Dave. Bookmark the permalink.